The counterfeit trade ravaging through the Kenyan market keeps getting worse after it emerged that Kenyans in Nairobi and environs have been buying expired baby diapers. This follows the arrest of a city tycoon, Mukhtar Rehemtulla Omar, who is accused of importing and repackaging expired baby diapers branded ‘EZEE’. Detectives from the Directorate of Criminal Investigations (DCI) picked up Mukhtar on Thursday and locked him at Parklands Police Station. Parklands CID Boss David Chebii said the businessman will appear in court today(November 16). He is expected to be charged with at least three offences among them; sale of substandard baby Diapers branded EZEE, sale of EZEE baby diapers without a valid import standardization mark (IS-Mark) permit, and applying importation standardization mark (IS-Mark) to EZEE baby diapers without a valid permit issued by the Kenya Bureau of Standards (KEBS). 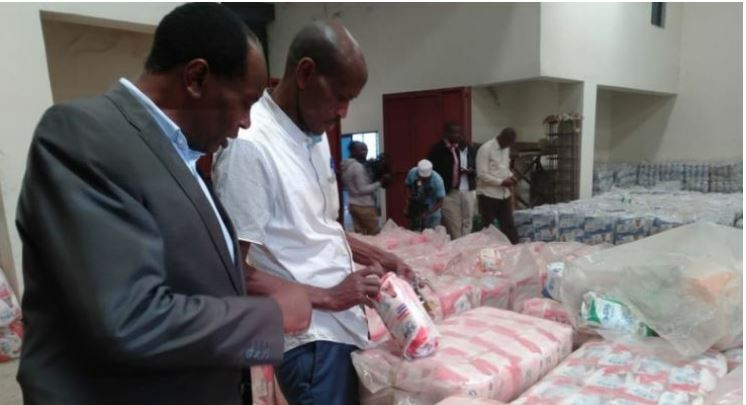 The arrest follows a police raid at a go-down in Mlolongo last month where substandard diapers worth over Sh40m that were being repackaged ready for sale were seized. The police say the suspect had hired workers to stick the fake KEBS stamps on the baby products.